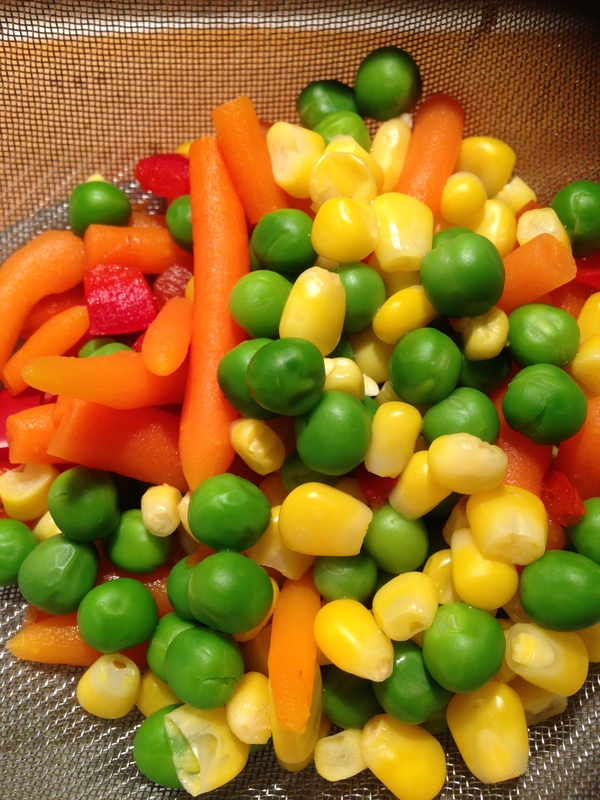 I had bought a bag of mixed frozen vegetables for another recipe in this book so decided to try this one next to use them up.. 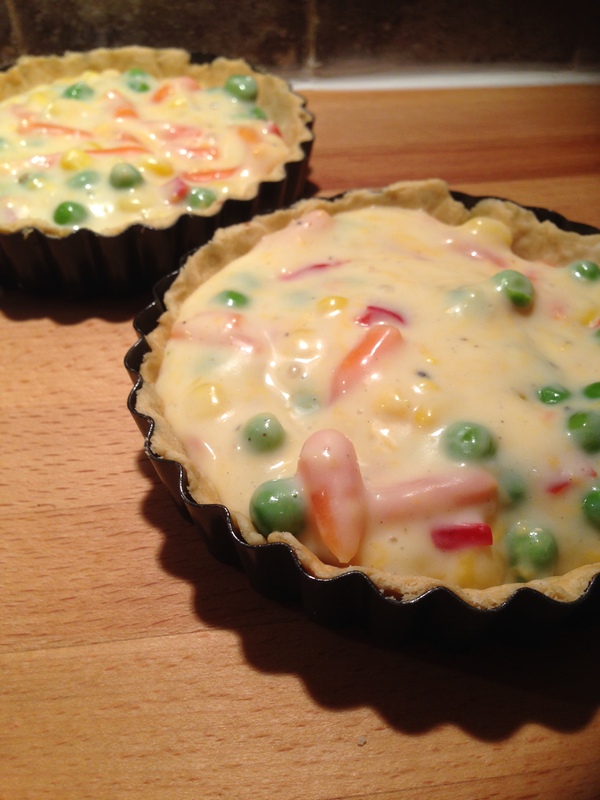 I was making two mini tarts so only made 2oz of shortcrust pastry, and the recipe says 1 packet of veg which is rather a lot going by the packet I’ve bought, so I opted for a large cupful.. 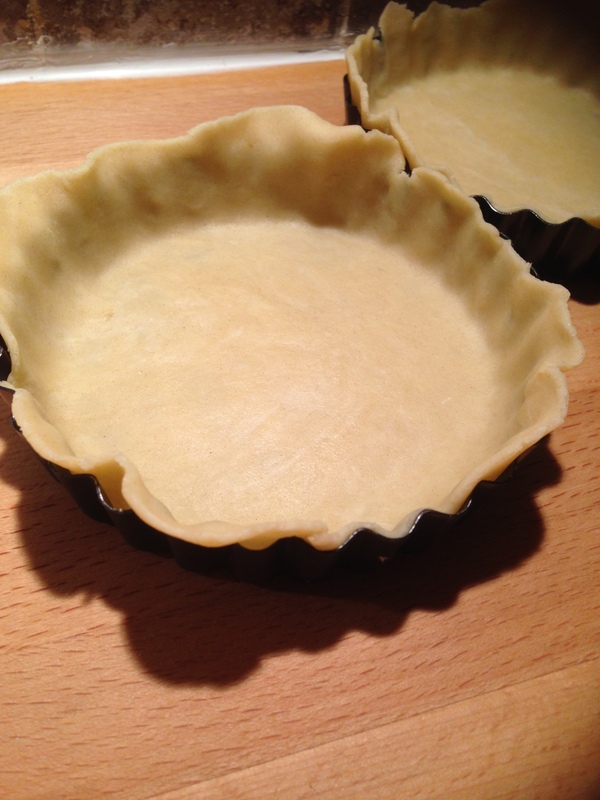 I rolled out the pastry and covered each of the tins with just a slight overlap.. I pricked the base lightly with a fork and filled each one with some ceramic baking beans to bake blind, not sure if I need to do both but erring on the side of caution!! After 15 minutes they were looking lightly golden. 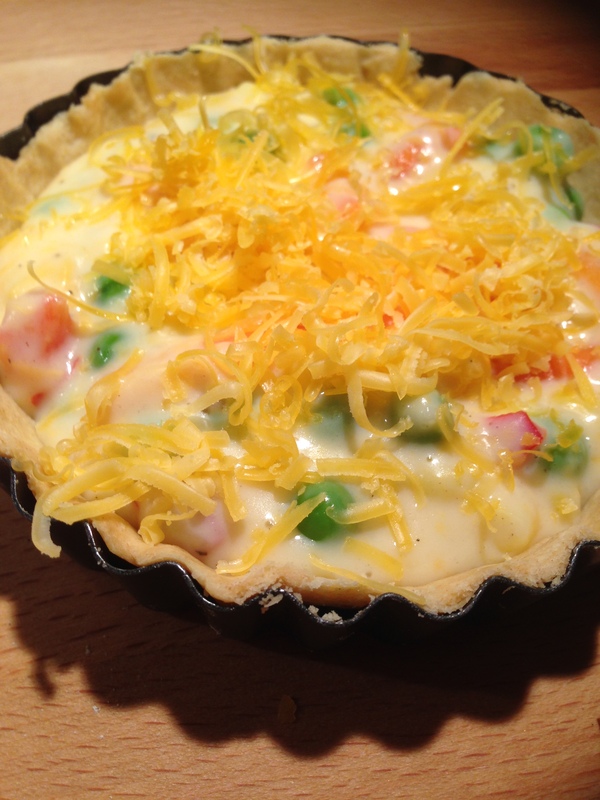 While they had been in the oven I made the white sauce, mixed in the cooked vegetables and most of the cheese, then piled into the pastry cases.. The rest of the cheese was sprinkled on top..
After only about 5-10 minutes under the grill they were nicely browned and bubbling on top..
Thankfully they came out of the tin easily.. I do think my pastry could be a bit neater but I guess the really important thing is how it tastes! 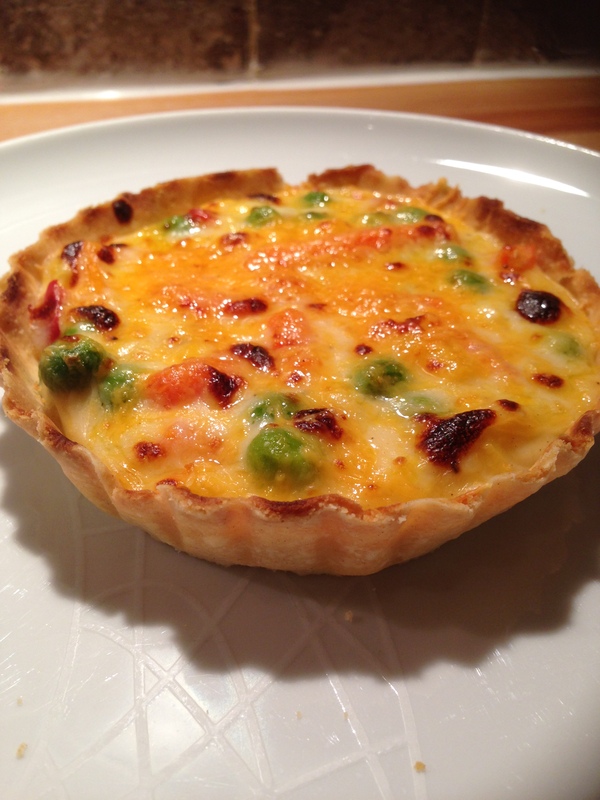 Well the pastry is good, really nice and crisp and the filling is great too. It’s perhaps a bit runnier than I thought which could easily be fixed by cooking the white sauce for a few minutes longer. Overall it’s a decent enough tart and I quite happily ate the lot! Was yummy, I could’ve quite happily eaten both!! 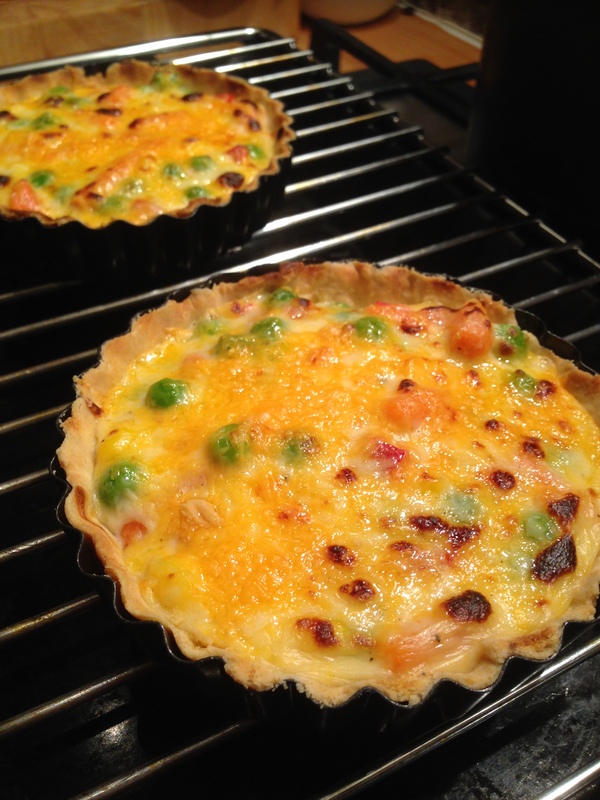 They were good, and really easy to make! That looks delicious! nice and wholesome! It was delicious and one was not enough!! Did taste good and will definitely make again! You had me at cheese! It looks delicious. 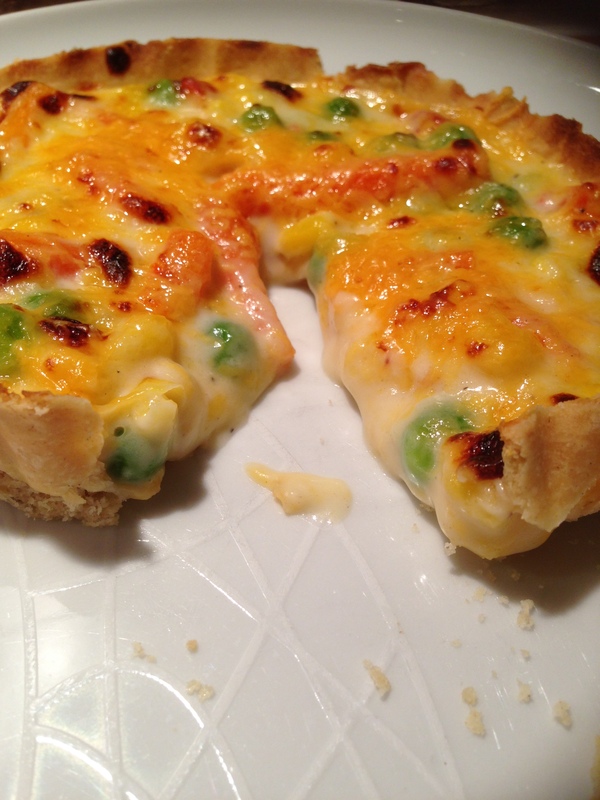 Cheese and pastry are a great combo! !